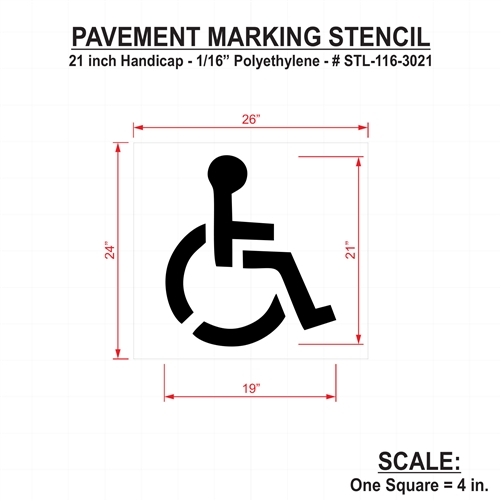 RAE's 21 inch Handicap stencil is made from tough, flexible Low Density Poly Etheylene (LDPE) Plastic in 1/16” (DURO-LAST) thickness. 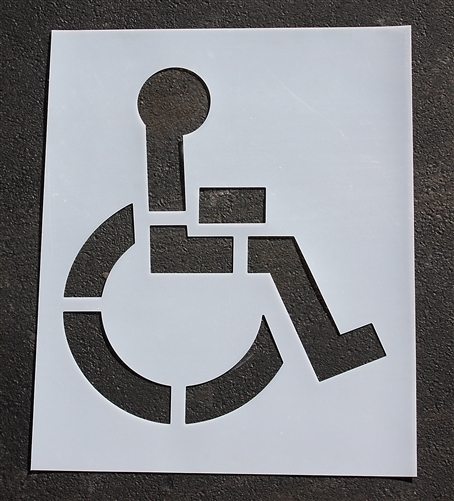 OTHER STENCIL OPTIONS: You can also try the Maxi-LAST 1/8" (STL-108-3021) - for frequent use. The DURO-LAST is more flexible while the Maxi-last is heavier and tends to lay flatter without wrinkles.